If you’ve been following my WIBO blog posts, you’ll notice that we’ve been learning a lot about marketing in WIBO’s “How to Grow a Profitable Business” class. In other words, marketing is the foundation of your business, whether you sell music or magazines. You may have a stunning product or service, but if no one knows about it, no one will know about it. Marketing is how you tell the world who you are, and what you are offering. Everyone has their own methods for marketing: promotional materials, the internet, cold calling, email, PR, etc, and now I’m learning how to find and target the people who want what I have to offer. I can’t remember if I mentioned that the WIBO course in my neighborhood of Washington Heights was sold out, so instead of a 4-block walk, I have an hour commute to get to class. The thing is, I now LOVE my class in the South Bronx. My coursemates are fascinating (mostly female), and we’re located practically across the street from a police station and a subway. Every Monday evening finds me very excited and ready to go to my WIBO class – and I’ve already seen improvement in my business life! Thank you, WIBO! 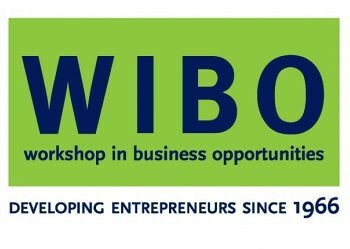 For more info on Workshop in Business Opportunities (WIBO), visit http://WIBO.org. When I decided to take a closer look at the folks who like my music vs the musicians who like my music business info, I have to admit that this was an instinctual decision. I just had a feeling that I had (at least) two audiences. But now that I’ve started doing market research, it’s obvious that it’s two different groups of people. For example, my research shows that most of the people who enjoy my music are female, while most of the musicians seeking music biz info are male. There are more differences, obviously, but even this information provides a strong indicator that I cannot market my CDs the same way that I market my musician eBooks. This is good stuff!!! Later in the week, there was an Uptown Networking Night presented by Beverly Susan Carter in my neighborhood of Washington Heights. Beverly, a tax professional (and former WIBO teacher), hosted an event for creative entrepreneurs of all kinds. While I knew that Washington Heights and Inwood were filled with creative people, I started to see my community as a potential home base for my music biz activities. Can’t wait to see where my market research will lead! For more info on Workshop in Business Opportunities, visit http://WIBO.org. The second week of WIBO’s “How to Build a Growing Profitable Business is all about Market Research. As we learned, it’s not enough to say that your market is EVERYBODY. Our fans, clients, and customers often have things in common, such as gender, age, geographic location, income level, etc. A target market is made up of the folks who are likely to visit your website and buy your product or service. This week’s work is to find out who my target market is, and where they hang out. I just started taking a course called “How to Build a Growing Profitable Business”, which is presented by WIBO – Workshop in Business Opportunities, a non-profit organization in NYC that teaches aspiring and established business owners how to build their business. I heard about this course years ago, but the timing never seemed right. A few weeks ago, a couple of friends of mine signed up for this course, and I was like, “No way they’re taking this course before me!” and I signed up (hey, I never said I was perfect)! For the next 16 weeks, we’ll meet once a week with successful entrepreneurs that lead the class and teach us about topics such as market research, marketing, financing, record keeping, cash flow, etc. It’s a practical class which includes case studies and discussions in which everyone will do homework on their own businesses. There’s even going to be a graduation in January 2011. I’m going to blog my experiences with the class so feel free to check in! My company Moxie Entertainment has been in business since 1998, but much of my learning came from books, role modelling successful people, and good old trial and error. Since I don’t know what I don’t know, I’m taking this course to fill my knowledge gaps. I’m especially looking forward to taking what I’ve learned and applying it to myself as an artist/entrepreneur, as well as my clients. As our course leader says, to have a business, you only have to sell something. 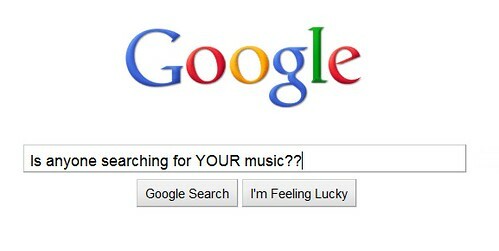 In other words, if you’re a musician with a CD to sell, YOU’RE IN BUSINESS! and September in 9 locations (3 in Manhattan, 2 in Brooklyn, 1 Bronx, 2 Queens, and Yonkers). * What is your product or service? * What kind of person are you? * How will you capitalize your strengths? * How will you overcome your weaknesses? * What technology will you use? * What tasks will you complete by next class?